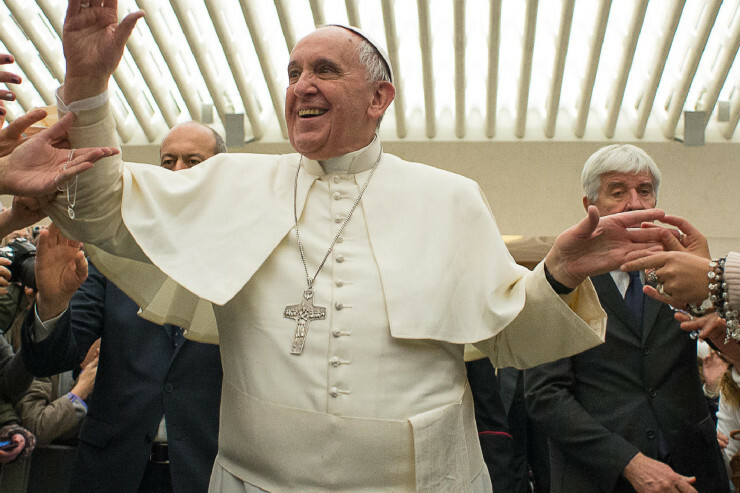 Pope Francis has given the answer to the drama of evil: Christ. While addressing the Vatican’s charitable dicastery, the Pontifical Council Cor Unum, and aid agencies this morning in the Vatican, and reflecting on the suffering plaguing the world, Francis underscored this. The Pope began his discourse thanking those gathered for all the Church is doing to alleviate the suffering of the millions of victims of these conflicts, and urging for a renewed cooperation at all levels between the different actors working in this sector. The Pope decried the dramatic consequences of the crisis are already visible well beyond the borders of the region, and seen especially “in the grave phenomenon” of migration. What our brothers and sisters in Syria and Iraq want today more than anything else–Francis stressed–is peace. “And so I will never tire of asking the international community for greater and renewed efforts to achieve peace throughout the Middle East, and of asking not to look the other way. The Holy Father pointed out that putting an end to the conflict is in the hands of men and women. The Pope thanked and encouraged international organizations, in particular the United Nations, at the meeting, for their work of support and mediation among various governments. He also noted that working toward an agreement to end conflict and help the defenseless must be traveled together with patience and perseverance, but also with urgency. “May the Lord bless you and our Blessed Mother keep you,” the Pope concluded.